Why Cook with Good-One Flavor Woods? 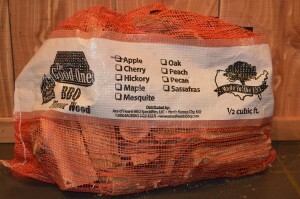 Good-One Natural Flavor woods come in a variety of flavors, apple, cherry, pecan, hickory, peach, mesquite and oak for example. Good-One Natural Flavor woods are seasoned for a minimum of 2-3 months, and then processed into 3-6 inch pieces to provide the maximum flavor for any smoker/grill. Good-One Natural Flavor woods are kiln dried to 140 degrees to kill any bacteria, mold or insects that were processed with the flavor woods.